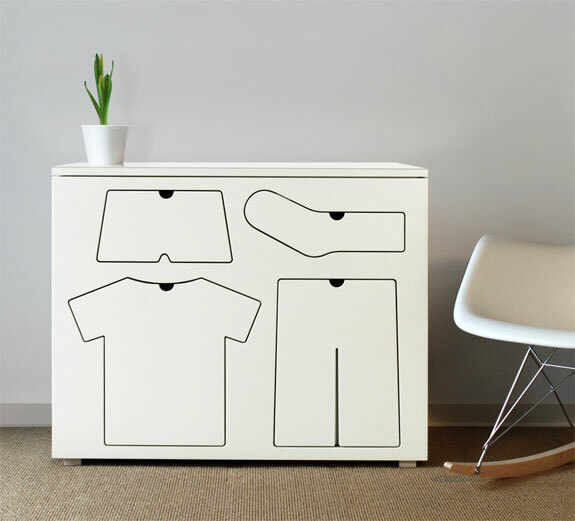 The Training Dresser by Washington state designer Peter Bristol is made mostly of maple plywood and a special ingredient: “Pacific Northwest fresh air.” The drawers are in the shape of what clothes they contain—shorts, socks, trousers and shirts. 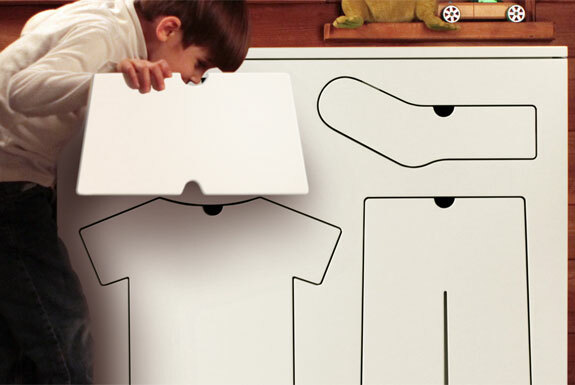 The idea is to teach organizational skills to toddlers, though we know several college students who could seemingly benefit from this dresser’s training too. 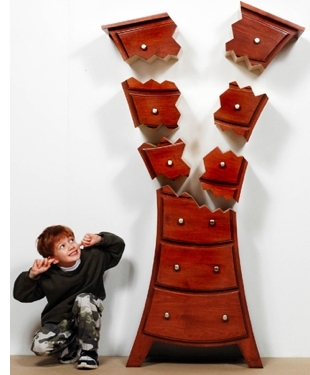 Canadian artist Judson Beaumont looks at cartoons to find inspiration for his wooden furniture designs. 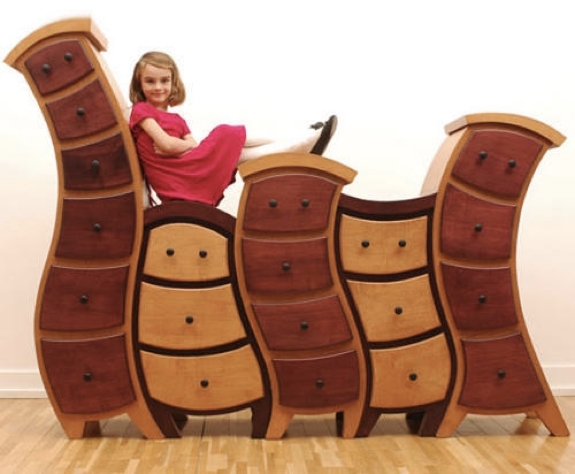 That—along with his “If you can draw and design it, you can build it” philosophy—leads to some cool, child-friendly furniture creations. Among Beaumont’s drawer sets we are especially enamored with the Bookm Cabinet (pic to the right) and the Sobey Dresser (shown below). The later will set you back US$16,250. For $16,000 less than that we suggest Beaumont’s excellent What’s Next? coffee table picture book. See more of Judson Beaumont’s furniture creations at Straight Line Designs. The first drawer is pretty cool and very intuitive. So no more socks everywhere! I agree it’s good for students too!